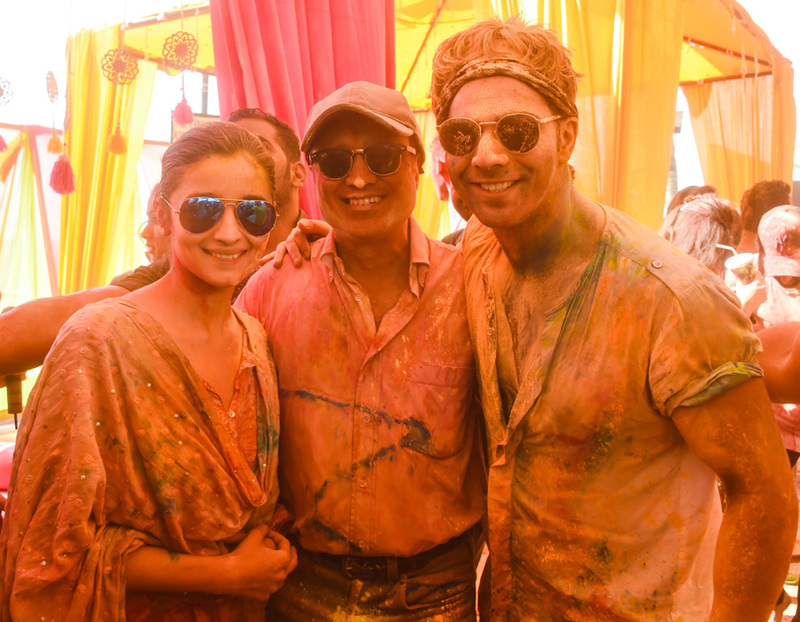 Have a Look at Celebs having Merry Time Celebrating their Grand Holi! Holi is considered to be the messiest festival among all but still Bollywood celebs were not able to resist it! No matter how busy they are, they rock these occasions every single time. The enthusiasm of celebrating this festival is all what it needs. These celebs in-spite being busy, had merry time that too with Swag! Some of them gave out some meaningful and strong messages while some gave out amazing pictures that can make you feel jealous! # Priyanka Chopra gave amazing Holi goals even if she is away from her roots! # Anushka Sharma with a meaningful message! # Akshay Kumar is back with his message diary! # Alia Bhatt, Varun Dhawan and Siddharth Malhotra reunited to celebrate! You are feeling jealous, right? # Preity Zinta and Husband celebrated their first Holi in style! # Ayushman Khuranna couldn't resist Holi while Shooting! # Shraddha Kapoor with her Holi Boomerang! # Vidya Balan with best wishes! # Bipasha Basu and Karan Singh Grover celebrated Holi with all love and romance!